We’re incredibly proud to announce that ‘Out of the Closets, Into the Streets’ is part of the 2018 Perth Revelation Film Festival. ‘Out of the Closets’ will be screening with the feature film ‘Queerama’ at the Luna Leederville Cinema on July 10, 12 and 16 2018. 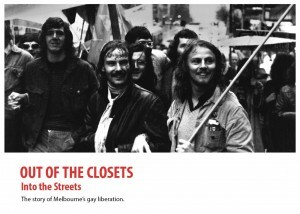 The film features interviews with Melbourne Gay Liberation Front members, archival images from the Australian Lesbian and Gay Archives collection, and original Super 8 footage of 1970s Gay Lib and Women’s Lib activities filmed and edited by Barbara Creed. 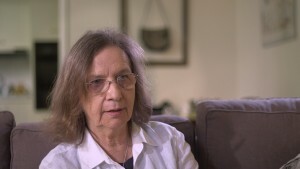 The story was produced by Wind & Sky Productions in collaboration with the Australian Lesbian and Gay Archives (ALGA) and is based on the 2015 physical exhibition of the same name curated by the Archives. Read our portfolio essay about the project.